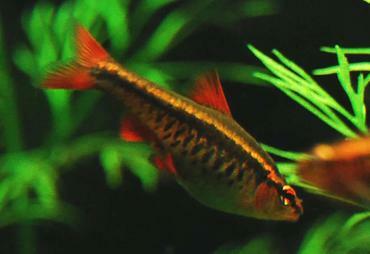 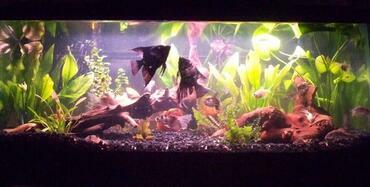 The plecostomus is one of the most popular species of algae eater for the freshwater tank. 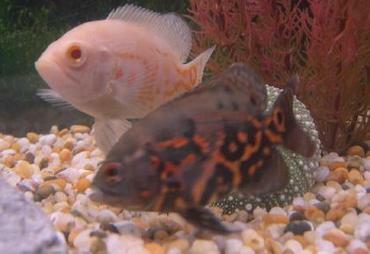 To ensure that your pleco is properly cared for, learn everything you can about this species. 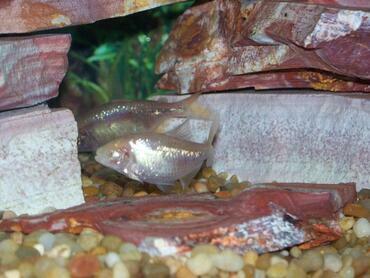 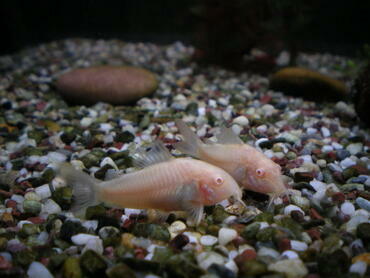 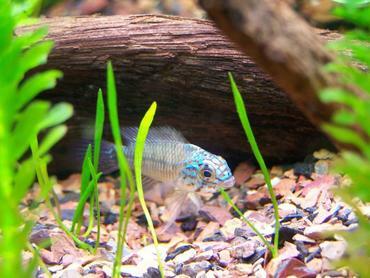 When you think of algae eaters for the freshwater tank, you probably picture the Plecostomus. 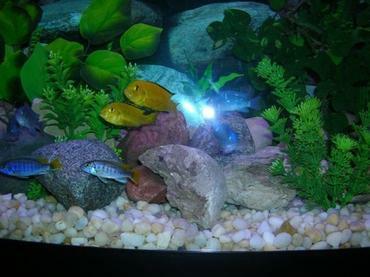 The plecostomus, or pleco, is one of the most commonly kept bottom-feeders in the freshwater aquarium – it is an essential addition to the freshwater cleanup crew. 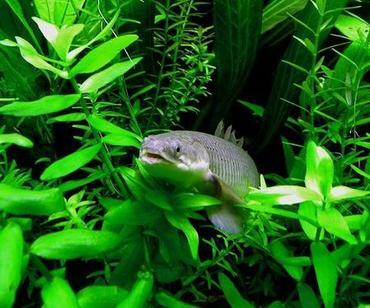 While the plecostomus is still young, it is an avid scavenger, feeding on all kinds of organic waste and aquarium debris. 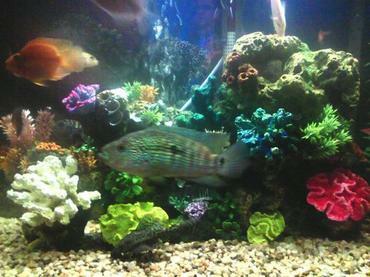 As it grows, however, the pleco can sometimes become lazy and it may even become aggressive with other fish in your tank. 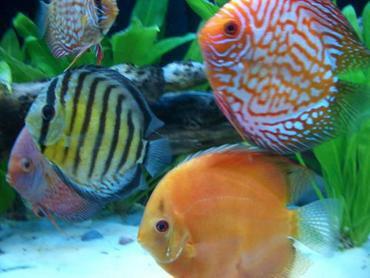 To prevent your pleco from causing problems in your aquarium, take the time to learn everything you can about this species. 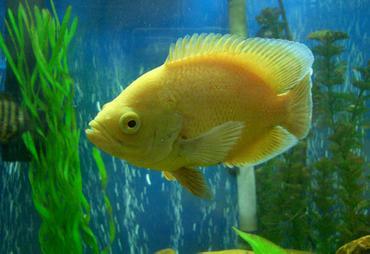 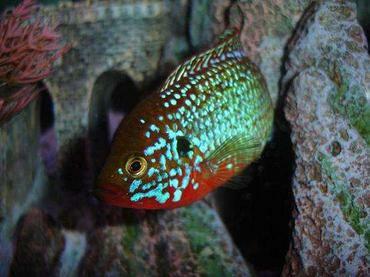 The fish known as the plecostomus goes by the scientific name Hypostomus plecostomus. 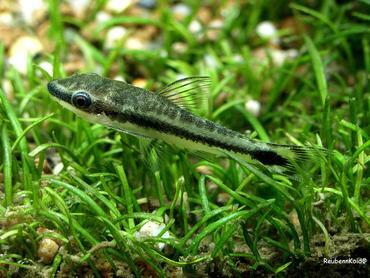 This species is a member of the Loricariidae family, the largest family of catfish that contains nearly 700 different species. 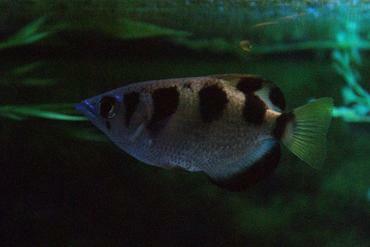 Loricariids, as members of the Loricariidae family are known, have bony plates covering their bodies instead of scales and they have sucker mouths that they use to filter food from substrate. 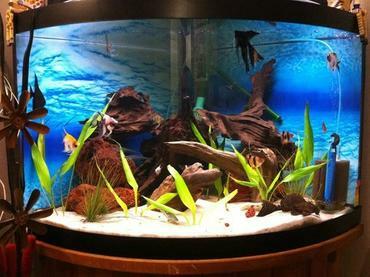 The fish belonging to this family are frequently referred to as suckermouth catfish or armored catfish. 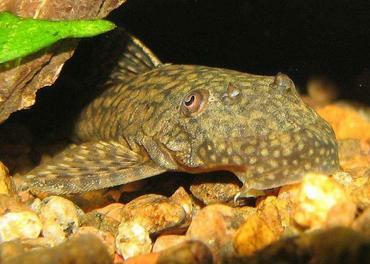 The Hypostomus plecostomus is sometimes called the common pleco as it is one of the most commonly kept species of Plecostomus. 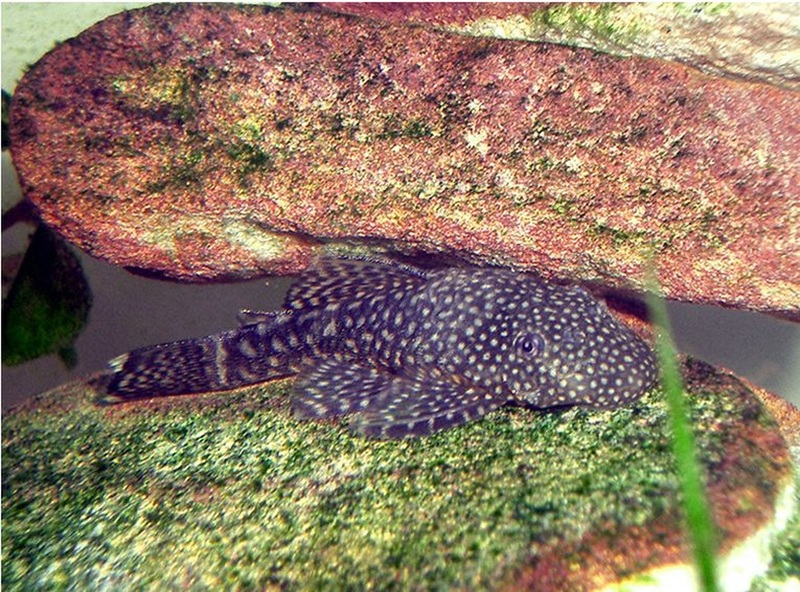 The common pleco is native to the tropical region of South America, occurring naturally in Brazil as well as the Guianas and Trinidad and Tobago. 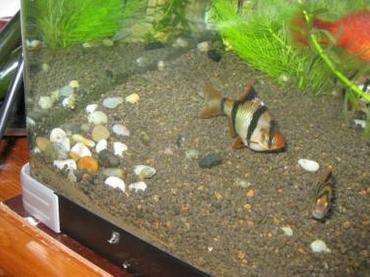 This species has also been introduced into other countries, primarily by aquarium hobbyists releasing their fish into native waters. 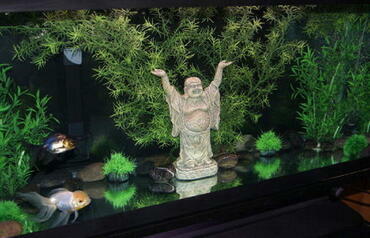 In the aquarium, the pleco is usually sold while it is very small and it is still a peaceful species. 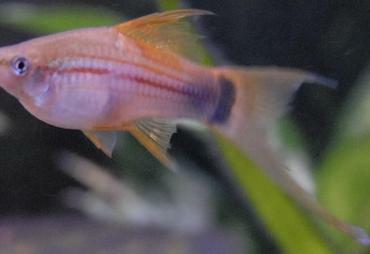 This fish can grow up to 20 inches long, however, and it may become territorial and aggressive as it increases in size. 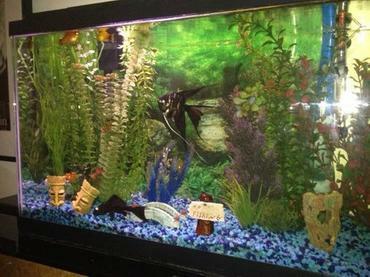 Because the pleco has the capacity to grow so large, it is recommended that you keep this species in a tank no smaller than 75 gallons in capacity. 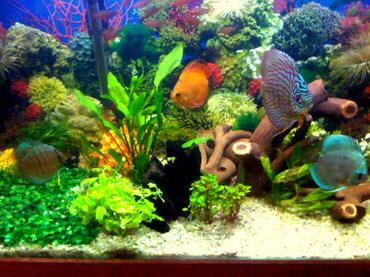 As it has already been mentioned, the pleco can grow very large (up to 20 inches) so it should be kept in a very large tank. 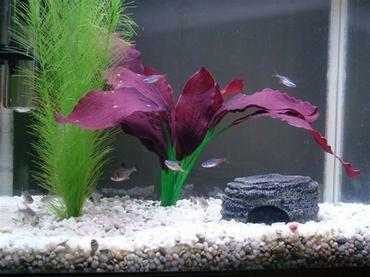 The ideal substrate for plecos is fine gravel or soft sand because it will allow the pleco to filter through the substrate to find food. 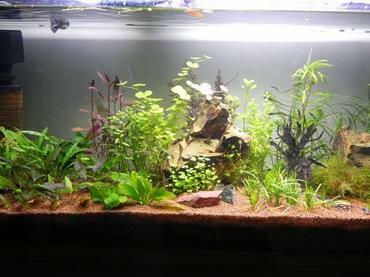 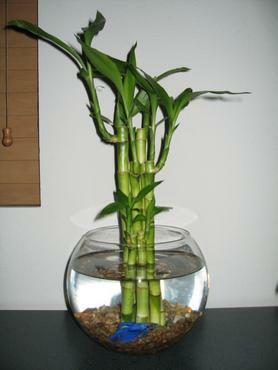 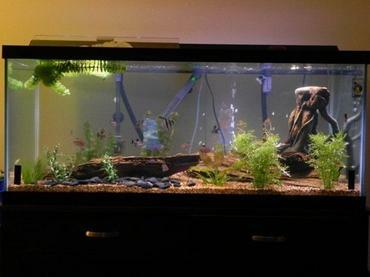 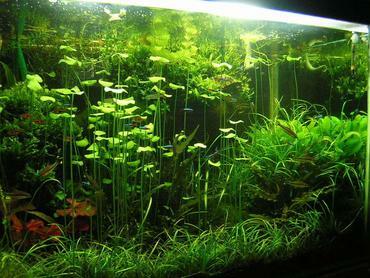 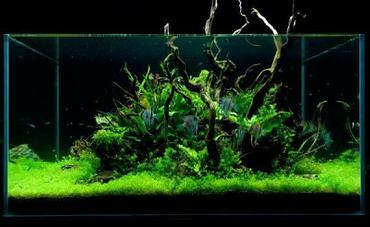 The tank should be densely planted, especially with broad-leafed species like Java Fern and Anubias, to ensure that the pleco can feed on algae growing on the surface of the leaves. 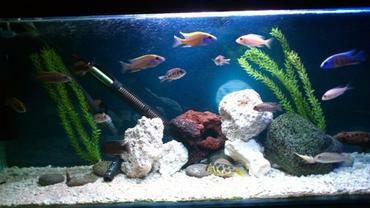 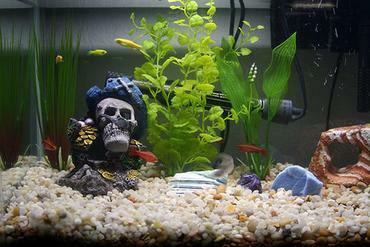 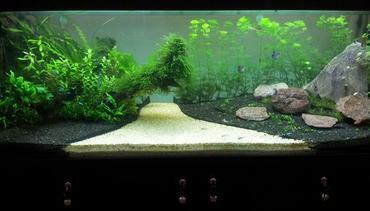 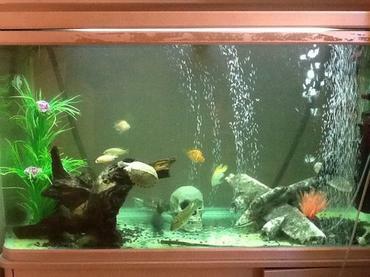 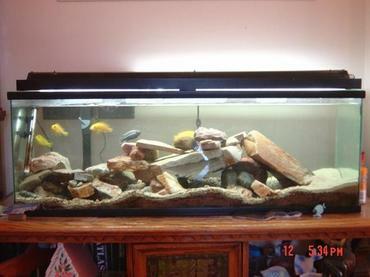 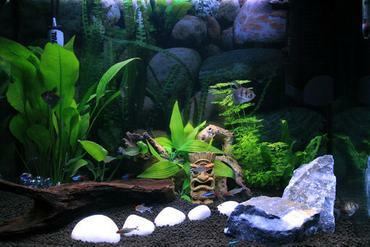 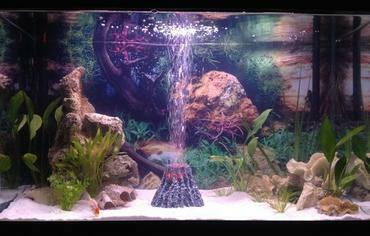 You should also provide your pleco with rock formations, overturned flower pots, and other hiding spaces in the tank. 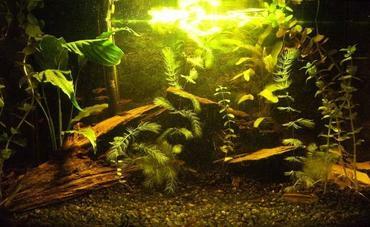 The pleco generally prefers subdued lighting, so keeping some floating plants on the surface of the tank will help to create this type of lighting. 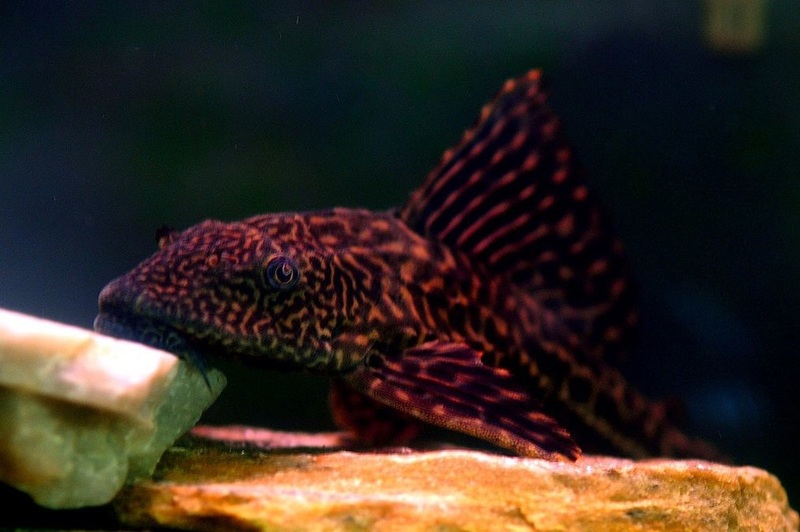 The Plecostomus is a very heavy eater which is generally a good thing if you are using the pleco as part of your cleanup crew. 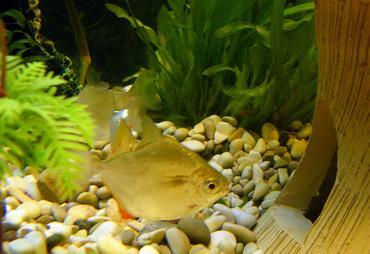 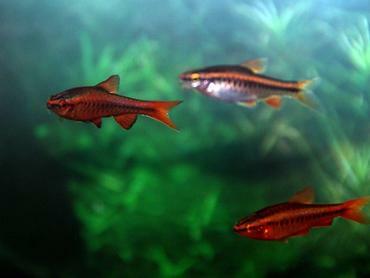 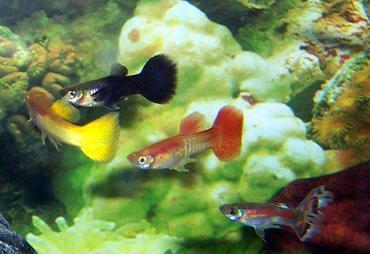 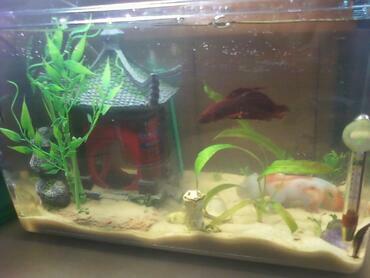 These fish will feed on everything from algae, flake foods, and wafers to decomposing plant matter and fresh vegetables. 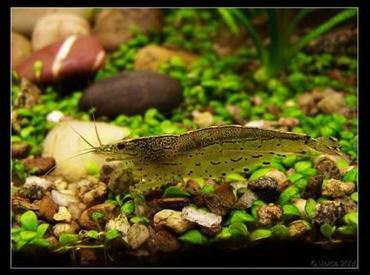 To make sure the pleco gets enough food, feed it algae wafers or pellets along with other sinking foods and fresh vegetables. 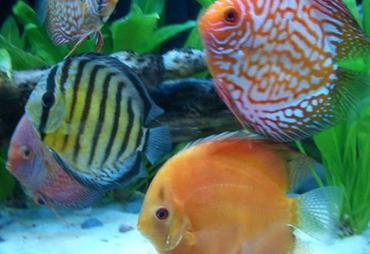 Because the pleco eats so much, it also produces a great deal of waste. 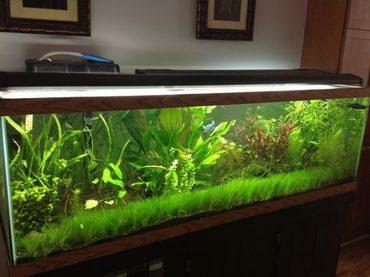 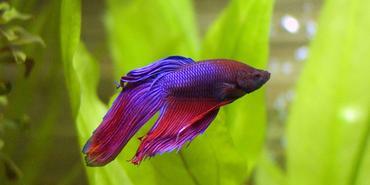 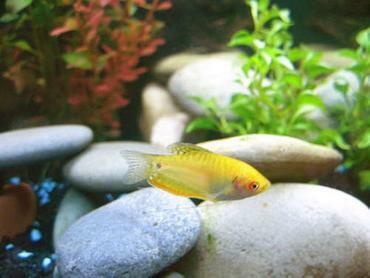 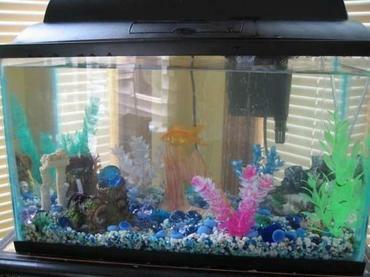 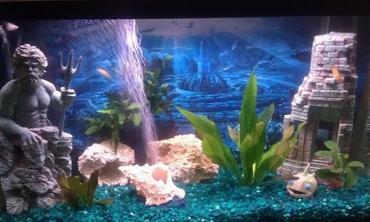 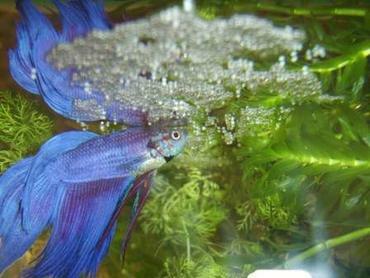 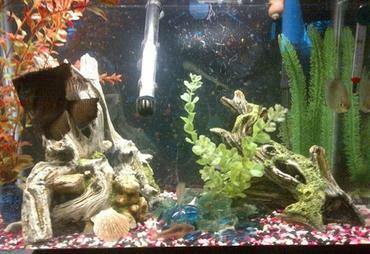 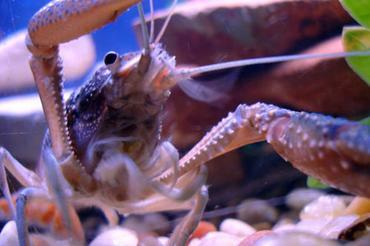 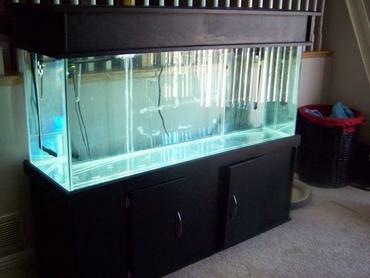 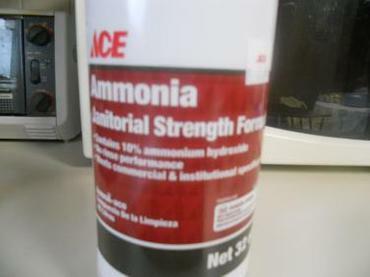 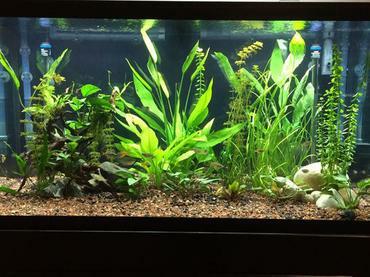 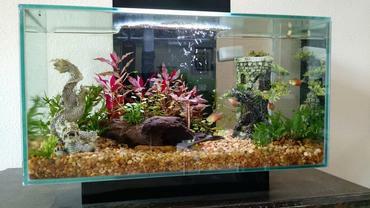 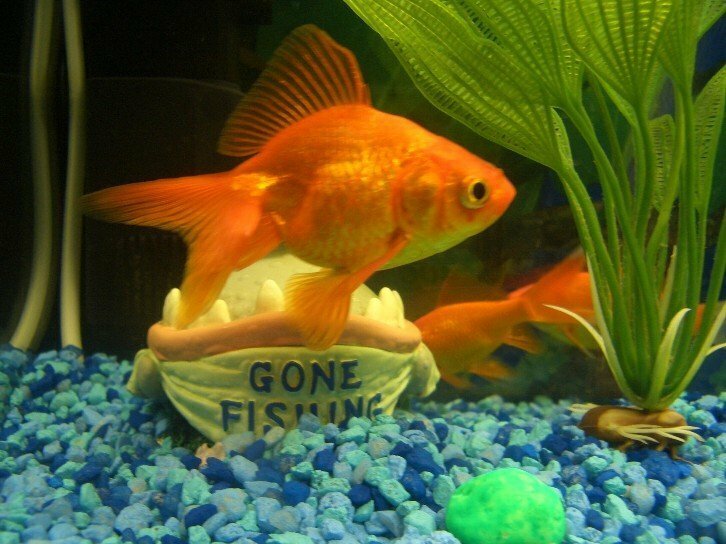 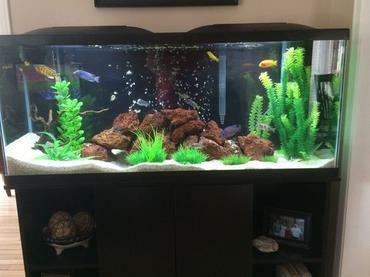 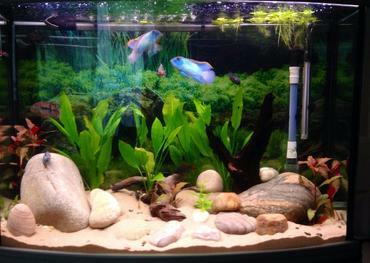 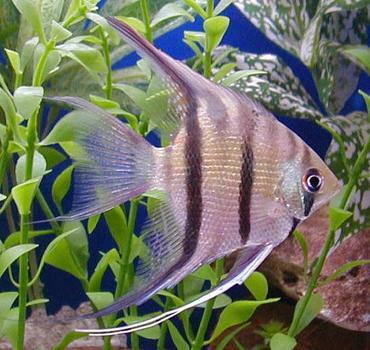 This being the case, you should make sure to install a high-quality filtration system in your tank. 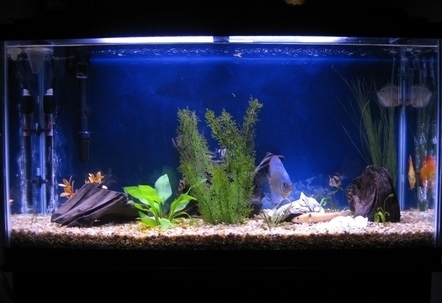 The filtration system should also create a good bit of flow in the tank water because the pleco comes from naturally turbulent waters. 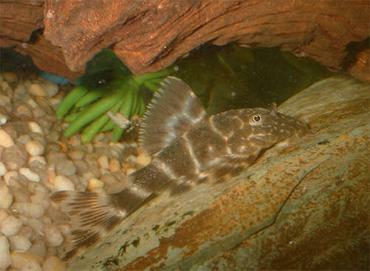 Bristlenose Plecostomus (Ancistrus spp.) 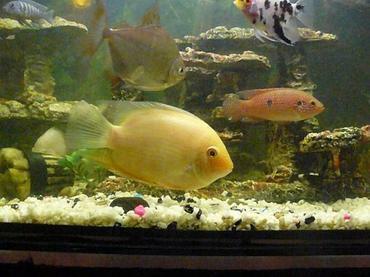 – The bristlenose Plecostomus belongs to the Ancistrus genus within the Loricariidae family of catfishes. 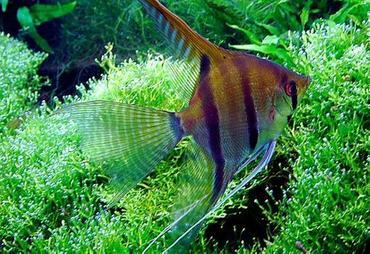 This species is native to South America and Panama where it can be found in the rivers and floodplains of the Amazon River Basin. 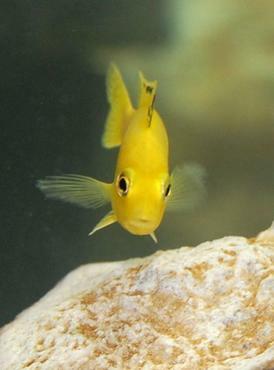 The bristlenose pleco shares many common features with the common pleco including a body covered in bony plates and a suckermouth. 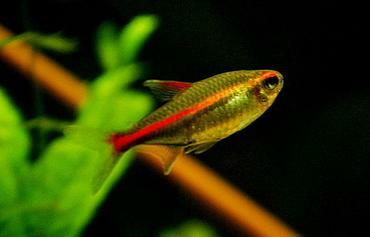 This species remains fairly small, only growing up to 4 to 6 inches, and they have a flatter, wider head than the common pleco. 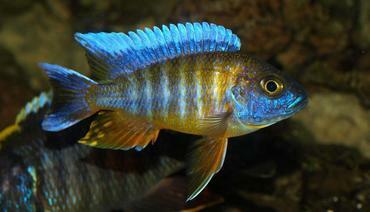 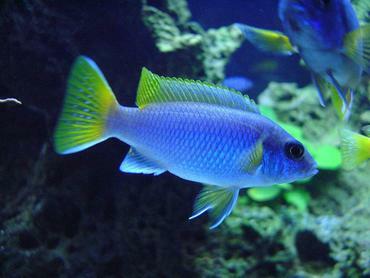 The coloration of this species is usually a mottled brown, black, or gray with small yellow or white spots. 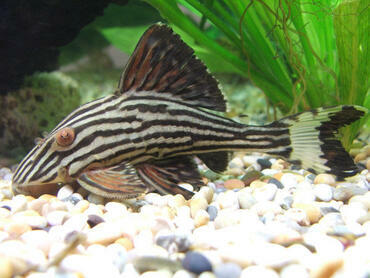 Marbled Sailfin Plecostomus (Glyptoperichthys cf. 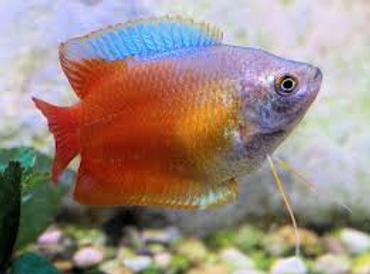 gibbiceps.) – The marbled sailfin Plecostomus is native to South America and it grows to about 12 inches in length. 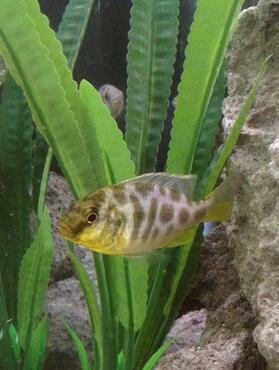 This species exhibits a dark brown coloration with a reticulated pattern of white or yellow markings which gives the appearance of a stone wall. 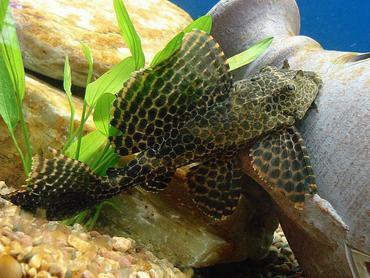 The marbled sailfin pleco is similar in appearance to other species, but it has an enlarged dorsal fin that looks like a sailfin – it extends almost all the way to the tail fin. This pleco is generally a peaceful species and fairly easy to care for in the home aquarium. 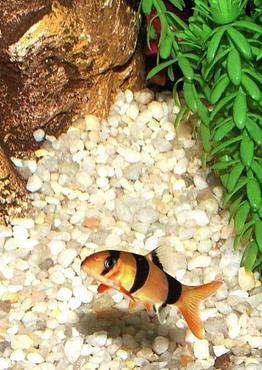 Tiger Clown Plecostomus (Panaqolus maccus) – Also known as the clown panaque or the clown pleco, this species is a dward loricariid which only grows up to 3.5 inches long. 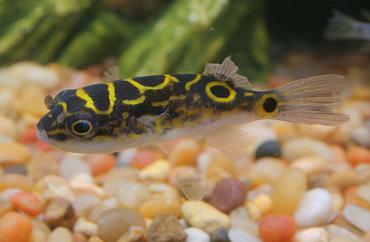 The tiger clown pleco is endemic to Venezuela where it can be found in the Caroni and Apure River basins in driftwood tangles near the river banks. 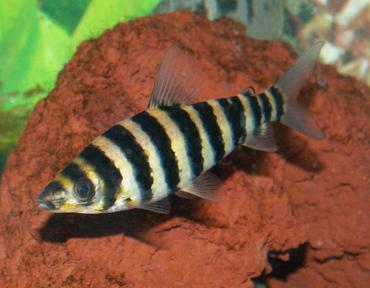 This species exhibits a striped pattern but the color of those stripes is subject to change with age. 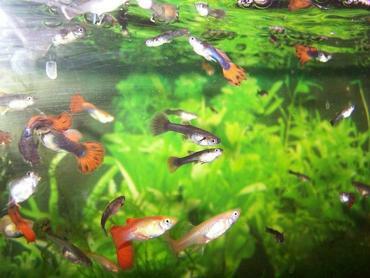 Most clown plecos have straight bars, though some exhibit a wavy or broken pattern – clown plecos with the wavy pattern are most commonly found in the Orinoco River and its tributaries. 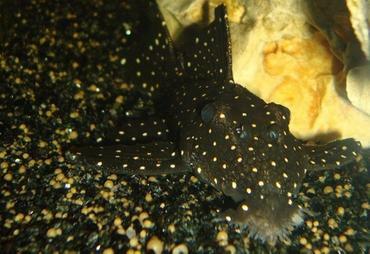 The clown pleco typically adapts well to the aquarium and they are actually fairly easy to spawn in captivity as well. 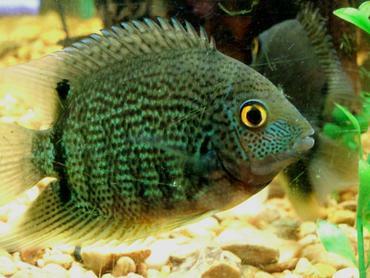 This species feeds primarily on vegetable matter as well as driftwood, though their diet should be supplemented on occasion with high-protein foods. 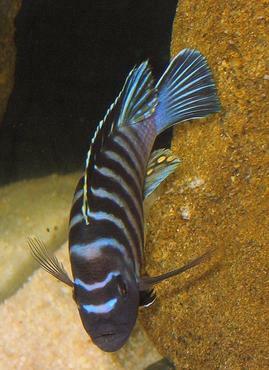 Royal Panaque (Panaque nigrolineatus) – Also known as the royal pleco, the royal panaque is native to Colombia, Brazil and Venezuela where it can be found in the Orinoco and Amazon River basins. 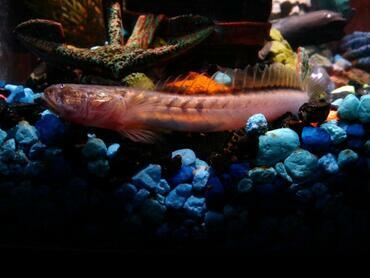 This species grows up to 17 inches long and it is unique among plecos for being one of the only fish species in the world that can digest wood. 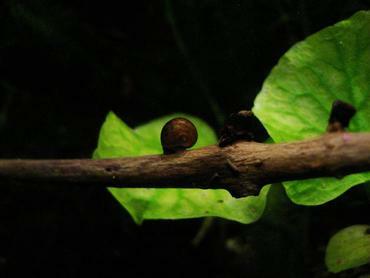 The royal panaque possesses symbiotic bacteria in its gut which helps to digest wood. 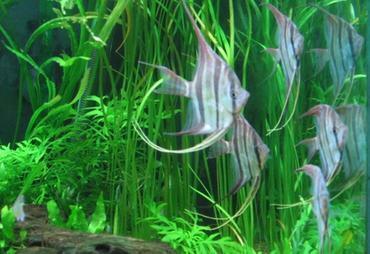 This species also eats algae and other kinds of vegetable matter. 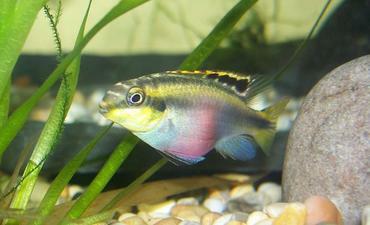 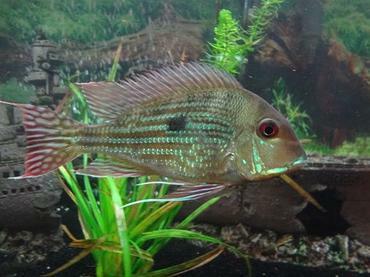 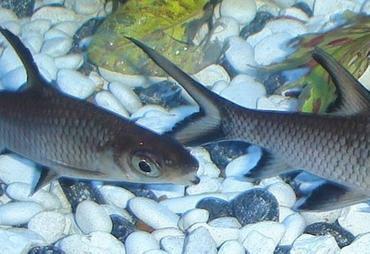 The royal panaque exhibits a light grey coloration with dark grey stripes – it also has red eyes and dorsal fins edged in gold. 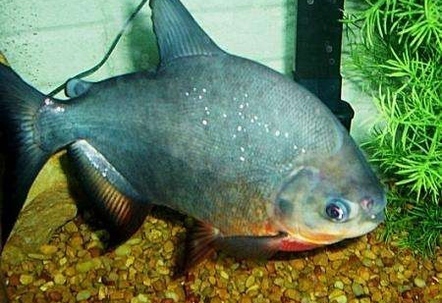 This species is very heavy so it doesn’t swim well, but it does have a very strong sucker mouth which enables it to hold on to wood and rocks even in fast-flowing waters. 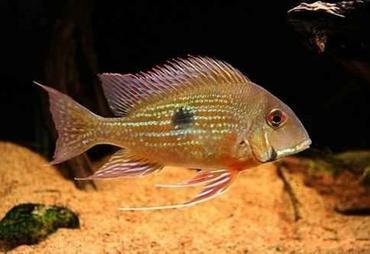 If you are looking for a freshwater fish that will help you to keep your tank clean, you cannot do better than the Plecostomus. 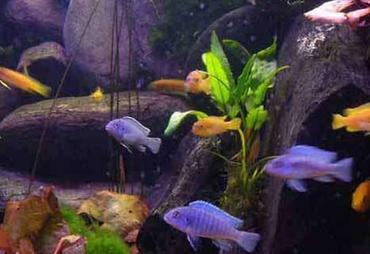 When considering the Plecostomus for the freshwater tank, keep in mind that you have many different species to choose from. 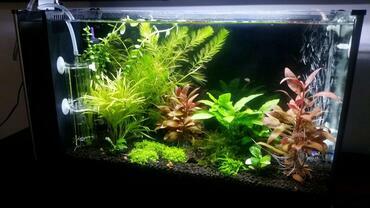 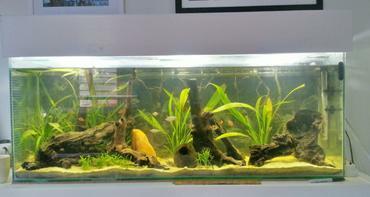 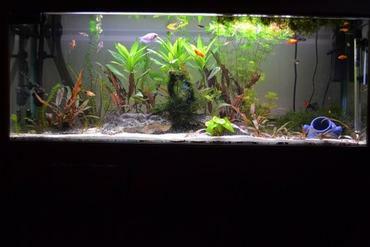 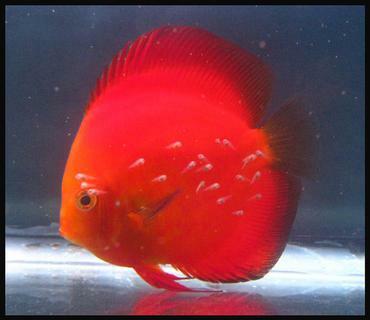 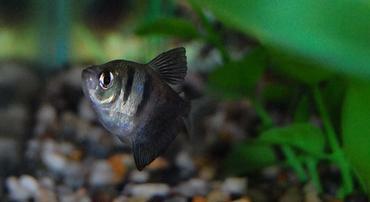 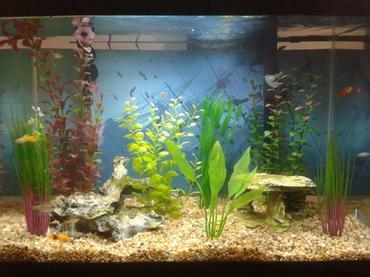 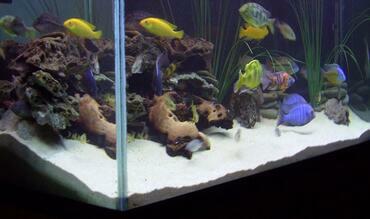 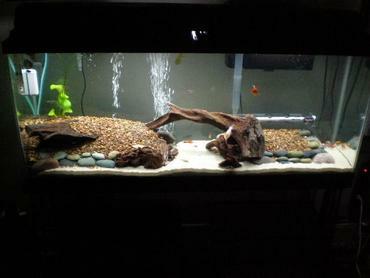 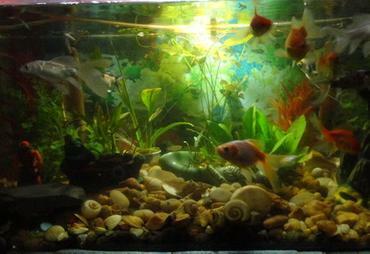 Do your research to determine the size and diet of each species before you decide which one is right for your tank.